It was more about the fun-ness than trying out for America's Next Top Model. I wasn't being a smartass. You look like you're having fun. 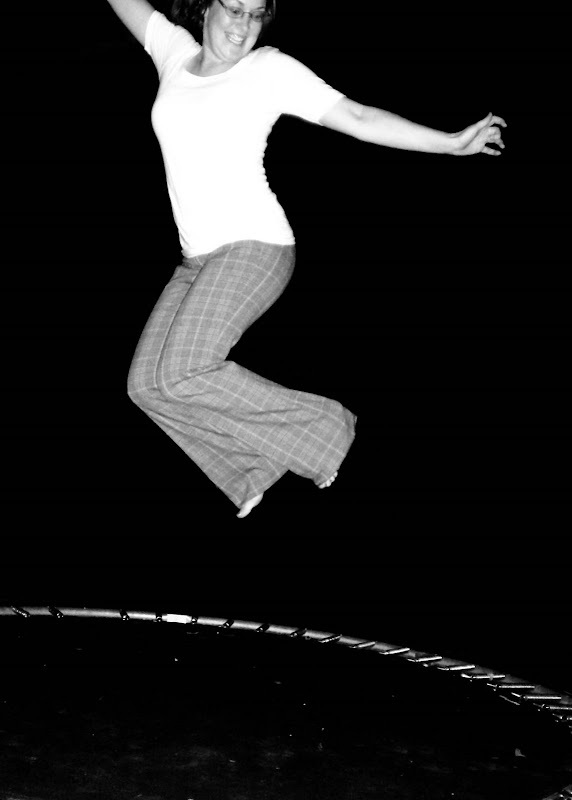 I don't think I've jumped on a trampoline in 15 years. I makes me sad that I can make comments like "I haven't done ______ in 15 years". You're brave. :-) I'm always afraid I'll bounce off. It's a height thing. I like the picture, cute pants too!